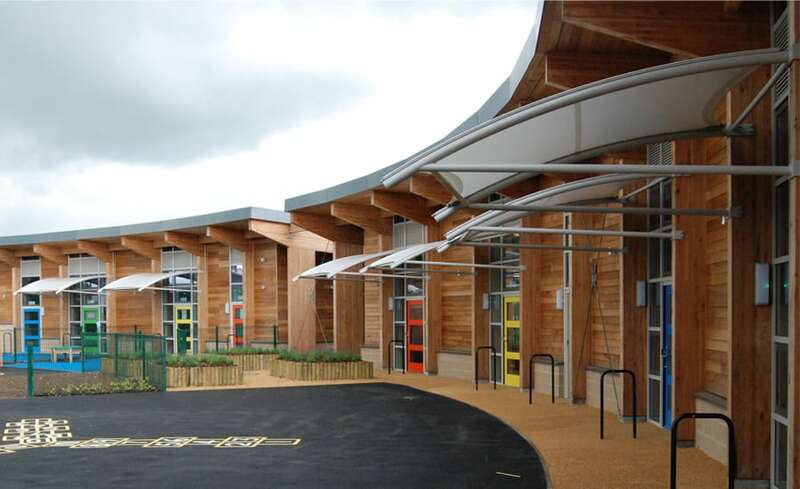 As part of the Building Schools for the Future initiative, Shirland Primary School near Mansfield has moved into a brand new building, designed and built from Glulam and with a number of tensile fabric features. 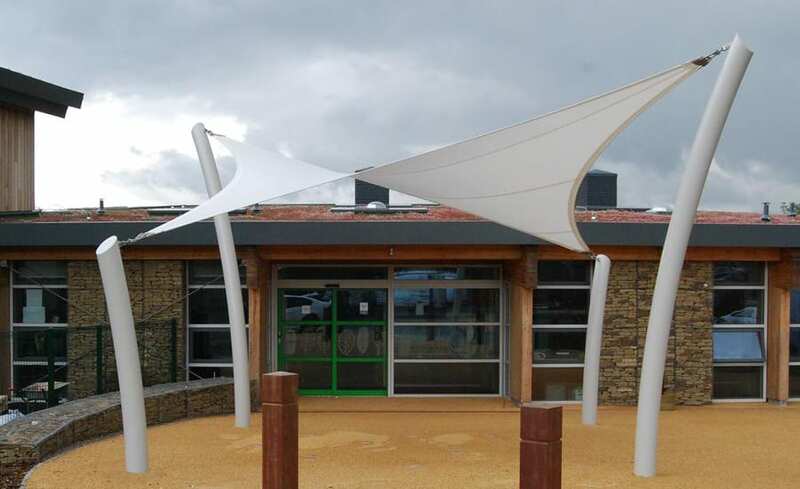 Well known to Willmott Dixon Construction, Architen Landrell was commissioned to design, manufacture and install a number of tensile fabric structures to enhance the outside spaces in the school and provide the children with shelter from the sun and wind. 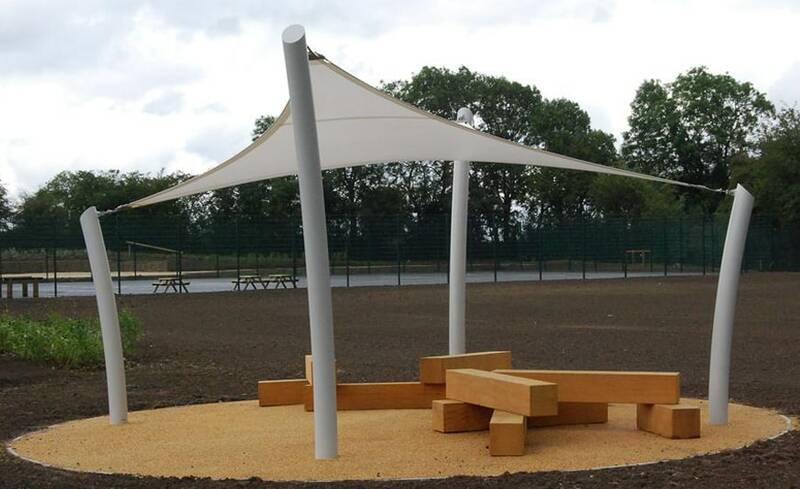 Seven 3m x 3m sun shades mounted onto the existing glulam beams form a sheltered walkway and two free-standing Dune structures give the children a covered place to play. As a school environment, it was important to minimise any dangers that a hard structure in the playground might pose. 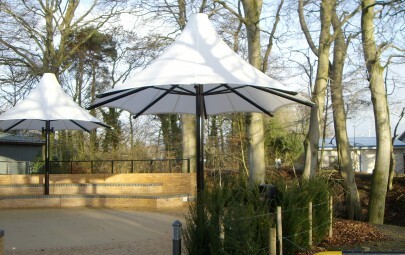 Unlike our current standard product these Dune have thicker, curved masts which can support the full weight and tension of the tensile fabric canopy without any need for tie down cables. They are the latest addition to our range of Standard Products. 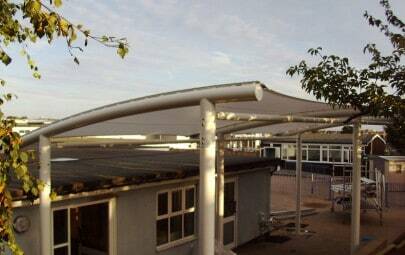 All canopies are constructed from Silicone Coated Glass Cloth; a material known for its high levels of light transmission and good life expectancy. 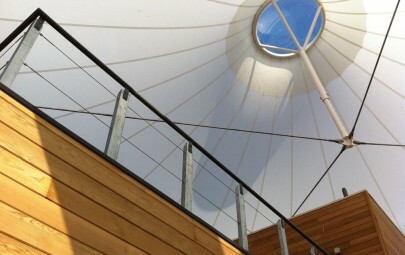 Teamed with the Glulam Timber framing and suspended entirely from the main building structure, the silicone helps to build an organic, natural feel to the architecture and the panels seem to effortlessly float above the walkway space.